In the heart of the rust belt, local pride still runs deep. Braddock residents along with their new Harvard-educated mayor fight the creation of the Mon-Fayette Expressway, which would cut straight through the town. 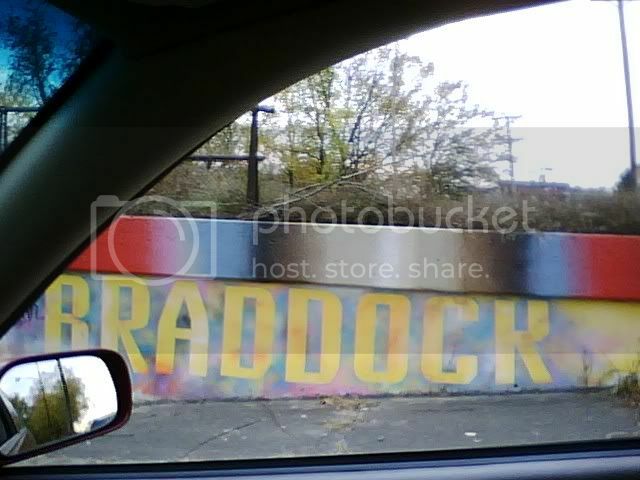 Braddock hosts the Edgar Thomson Works, one of the remaining operational steel mills in Pennsylvania and UPMC Braddock. A multitude of its other properties are dilapidated, vacant, or run down. 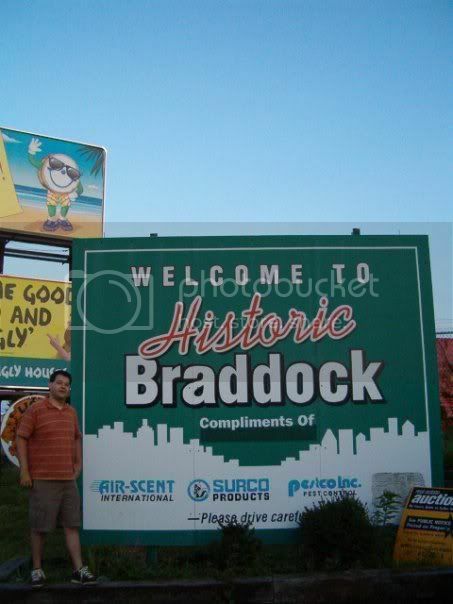 On August 11th, 2007, this new Braddock sign created by sculptor James Simon and kids from the Braddock Summer Youth Project was unveiled. This by far wins the title for most interesting and off-the-wall sign we've seen so far. 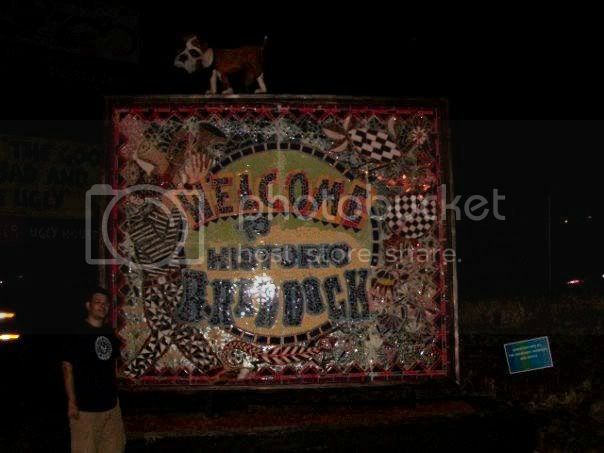 Below, Andrew Miller poses by the previous town welcome sign, which once stood in the same place as the one above.